← Backstroke Kick. Has specificity been overlooked? Is the arm stroke in swimming a ‘pull’? Children take what adults say literally. It is one of the reasons I often discourage coaches from being sarcastic in a training session when they attempt to be funny sarcastically. Swimmers don’t get it. They think that coaches and adults mean what they say. 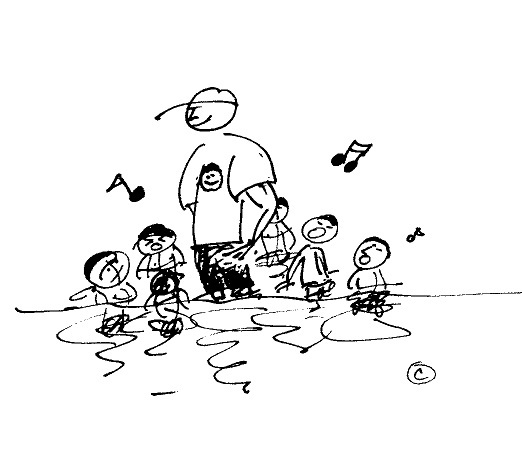 Children are influenced by their teachers and the words they use are important. So why do we call the underwater part of our arm stroke a ‘pull‘ when it isn’t? To pull means something different than what we do to the water if we are swimming correctly. If you imagine a tug-o-war (a former Olympic event) then you will imagine ‘pulling’. A person on the tug-o-war team holds onto the rope and pulls towards themselves. The elbows are tight into the body and biceps are straining. We don’t pull in swimming; we press and push. You would not make the Olympic Tug-o-war team if you tried to press the rope towards you. So why do we use the term pull when we mean the opposite? Coaches know Newton’s Third Law allows us to move through the water by pressing and pushing the water backwards so that we go forwards. But pressing and pushing is completely different to pulling. I think the word ‘pull’ in swimming circles has simply become universal practice. However I think we are planting a seed in children’s minds that may be causing some of the problems that are common mistakes. I believe that using words which mean something different than what we intend opens up a can of worms. If we want our swimmers to drop their elbows and ‘pull’ then we should shout, “PULL HARD”, and it would give you the opposite result that we truly want. The catch phase of each stroke includes manipulating the elbow and shoulders to allow a good hold with both the hands and forearms. The stroke then ‘presses’ until we reach the shoulders and then we push (or in-sweep in breaststroke). In all the swimming strokes I believe we need to consider carefully the words we use. The term ‘kick’ is keeping our leg action isolated to the legs when a full body action is required. The term ‘pull’ implies we should use a tug-o-war action and this is wrong. So the pull is not a pull, and if we are not careful we will reap what we sow. This entry was posted in General Knowledge on swimming and tagged big dog drill, Freestyle, freestyle timing, front crawl, improving swimming, improving training, learn to swim, open water, principle of specificity, skulling, smooth swimming, swim, swim technique, swim training, swimmer, swimming, swimming technique, training, triathlon swimming, tricks of swimming trade. Bookmark the permalink. 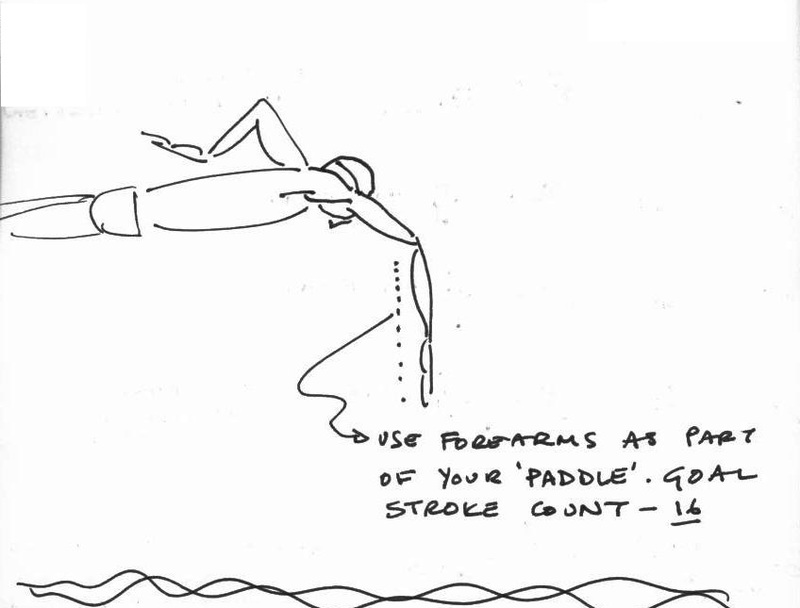 1 Response to Is the arm stroke in swimming a ‘pull’?